Do you enjoy your garden? If the answer is no, then it’s time for a new garden design for your yard. The most important of all is that it will be something that you’ll enjoy, not only now but in years to come. All good gardens, everywhere and of every type, are made from basic foundations that allow you to learn from the ground up, while also being able to help the garden flourish and grow with time. When you know these fundamentals, you’re able to get much more out of the garden that you put together than you originally thought. Don’t worry; even if you do not have a green thumb, once you know the fundamentals, you will be able to plant and grow almost anything. All of these flowers bloom and need to be planted at different times. 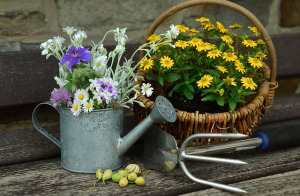 Annuals bloom all season long, and most do not have a specific planting schedule, but sometimes it is best to plant them in the spring after the last chance of frost. Biennials need two full years to full bloom into action. They will have their leafy greens the first year but won’t have the color until another year after. Perennials bloom for only a short time, but they will come back year after year. The US is split up into 13 different plant hardiness zones, depending on what is able to be planted and actually survive within each of the zones. Knowing what to plant means knowing the zone your home is in, as well as the recommended plants for that specific zone. If the plant is outside of the hardiness zone for your area, then you’re not going to want to plant it within your garden. Minnesota is split into three different levels with some sub-levels, so depending on your zip code, you may be in one or another. If you’re worried about growing something, or perhaps you just do not have the time to tend to live plants and other growth, consider a rock garden or other potted low maintenance option. No matter what you’ve got in mind, we are able to help you design the perfect garden in your backyard that you feel comfortable with. Contact Architectural Landscape Design today for more information and to schedule a free initial in-home design consultation.